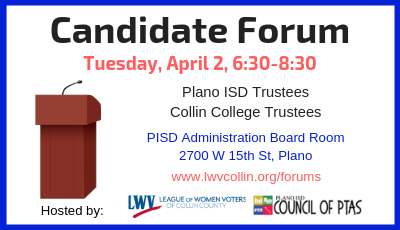 Meet the candidates for PISD Board of Trustees and Collin College Board of Trustees on Tuesday, April 2, 6:30-8:30 pm, at the PISD Administration Board Room, 2700 W 15th St. This is hosted by the PISD Council of PTAs and the League of Women Voters of Collin County. Check HERE for more information. Plano ISD PTA advocated for public education in Austin on February 25. Choose a topic. 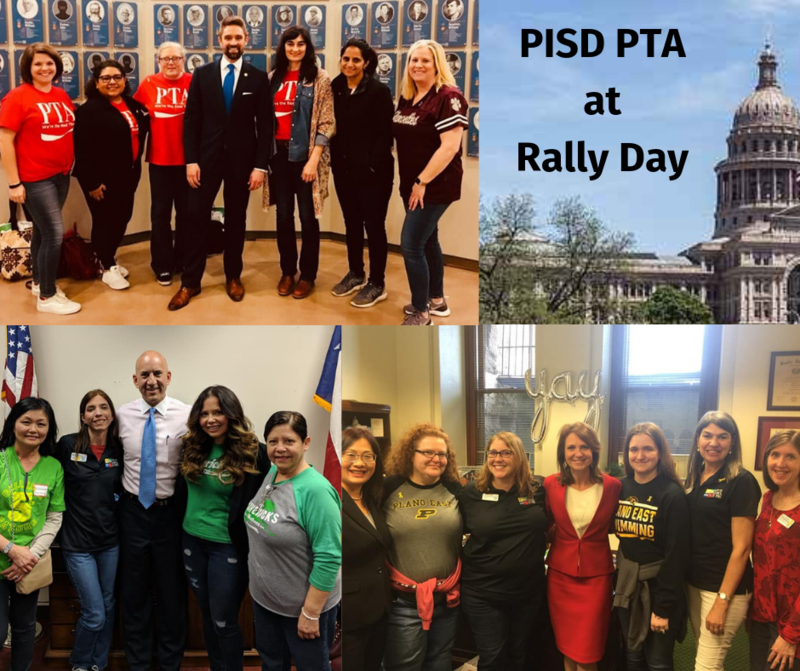 Review the PISD PTA legislative priorities and related bill list. Do a keyword search on the TX legislative website for bills that interest you. Identify your legislators by entering your address HERE. Find the legislator's email webform by clicking the name below. Review these letter writing tips. State your position on the subject line. Mention that you are a constituent and include your address. Refer to a bill number, if applicable. Clearly state what you want him/her to do. Explain why it is important to you, perhaps with a personal experience.